The reemergence of populism and the intriguing if possibly brief half-life of the left-leaning “pink tide” movement in South America have facilitated a somewhat misleading perception that the continent as a whole is headed towards an era of leftist, anti-U.S. policies. While the hostility between Venezuelan President Hugo Chávez and the Bush administration reached a new high at the 61st UN General Assembly session, most of the other South American nations have taken a decidedly more pragmatic stance with regards to Washington, essentially sitting out the spat now taking place around them. In fact, the majority of South American leaders often play both sides – cooperating with left-leaning Latin American stalwarts while accommodating themselves, at important junctions, to U.S. priorities. Thus the challenges posed by Hugo Chávez and often Evo Morales could represent the exception rather than the norm. Although the rhetoric exchanged between Washington and some of its southern neighbors is at times heated and ideologically fueled, the more vested permanent interests of both sides – often dominated by trade – almost always outweigh the deep ideological disconformities so well exemplified by Washington and Caracas’ exchange of invective. The populist movements in Bolivia, Venezuela and potentially Ecuador – if Rafael Correa is elected president – are certainly significant to South America’s political map, but the growing conception of a united continent out to sever all ties with Washington is at best oversimplified, and at worst heavily distorted. Inter-state conflicts within South America, such as the ongoing disputes between Uruguay and Argentina, Chile and Peru, and Chile and Bolivia amongst others only begin to reveal an insight into the relatively low flame behind the diplomatic tensions throughout the region which are overwhelmed by the much more important impact of trade and development ties. These obstacles outweigh prevailing leftist dogma and the cohesion necessary to facilitate a concomitant split with the U.S. Given the corseting nexus of international agencies such as the IMF and the World Bank, a country must possess a high degree of economic autonomy for it to be able to sustain independence from Washington. The abundance of strategically important natural resources, primarily oil, allowing Chávez to take his often rambunctious public stances, is not duplicated in most South American nations. Consequently, most of them are more sensitive than Venezuela to the underlying economic realities regarding their links to the U.S., in most cases the principle trading partner. This incongruity reflects the prevailing importance of national interests as the crux of South American countries’ external policies, particularly towards the U.S. Within this context, ideology takes a backseat to practical political factors. Some South American countries – most notably Paraguay, Colombia and Peru – lean towards Washington for guidance while their policies concurrently reflect South America’s own pattern of alliances and rivalries. Paraguay continues its historically close relations with the White House by permitting an increased U.S. military presence on its soil, which could facilitate support for this weak state’s standing, while not without probable costs. Colombian President Álvaro Uribe Vélez, who is perhaps the region’s most consistent ally of the Bush administration, has been lobbying Washington for trade agreements on the behalf of Andean Community members, while at the same time earning U.S. approval by modulating his ties with Caracas. Finally, the legislature of Peru has enacted a bilateral free trade agreement with the U.S., although the agreement is unlikely to be passed by the U.S. congress before November. 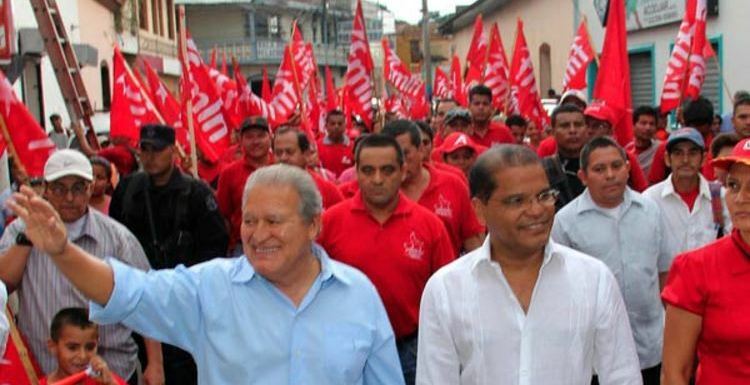 Additionally, García has never softened his antipathy towards Chávez that dates back to the latter’s failed coup attempt in 1992 against then-President Carlos Andrés Pérez, a close friend of García, even though the then Venezuelan president was head of a notoriously corrupt regime. Chile, Uruguay and Brazil have adopted a more independent stance, preferring to play it safe by avoiding contentious issues involving the U.S. In doing so, they have managed to circumvent restricting commitments affecting their pursuit of national interests. While Chilean President Michelle Bachelet was apparently considering supporting Venezuela’s bid for a seat on the UN Security Council before Chávez’s controversial speech to the General Assembly, she recognized the conservative PAN candidate Calderón’s electoral victory in Mexico earlier than some other leaders, and is on good terms with Colombian President Uribe. Uruguayan President Tabaré Vasquez is currently receiving trade agreement offers from both Washington and Caracas, but has yet to make any commitment to either side. Furthermore, the ascent of Brazil’s Lula da Silva to power was based largely on pledges of leftist reform, but his economic policies have echoed his country’s traditional pragmatism above any ideological fidelity, thus prioritizing its national interests by centering on growth as much as on social justice. The heterogeneous opinions of South American governments regarding the U.S. are reflected in public discourse. While the emergence of a number of populist regimes in South America suggests considerable public support for left-leaning policies and is indicative of growing public dissatisfaction with Washington’s leadership, extensive opinion polls, carried out by Chilean-based Latinobarómetro, seem to point in another direction. The survey was based upon between 1,000 and 1,200 respondents in each country, conducted in August and September 2005. Among those in the ten South American countries polled, Peru registered the highest approval of the United States, with 71 percent having either a very good or good opinion of the U.S. The country with the lowest assessment was Argentina, with a mere 32 percent. The most anti-Bush governments, Bolivia and Venezuela, respectively had 50 percent and 41 percent of those polled answering either very good or good. When asked to rate leaders on a scale from 1 to 10, on which 10 was the best, South Americans gave Bush a score of 4.1, while Chávez received a 5.2 figure. These numbers suggest considerable regional differences regarding public perception of the U.S. and it can be emphatically said that at this point they do not provide a clear-cut image of prevailing anti-Washington sentiment throughout the continent. Instead, they more accurately reflect the differences among and between South American countries and thus highlight the complex issues affecting South American unity vis-à-vis their perception of the U.S. This undermines the otherwise inexact claim propagated by some that South America is unified in opposition to Washington’s regional agenda. What specifically accounts for the differing opinions of the U.S. throughout South America is unclear, but the differences suggest that public views of the U.S. are based as much upon the nature of past experiences with Washington and current trade issues as they are on ideological factors of the day.